A little more than a month after being returned to office, the New National Party Government of Prime Minister Dr. Keith Mitchell, has outlined plans for the construction of a New Economy that will spur economic growth and development. 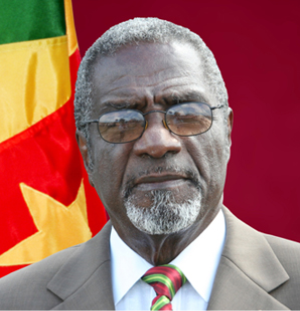 The plans for the new thrust were presented in the Throne Speech delivered by Governor General his Excellency Sir Carlyle Glean, at the First Session of the Ninth Parliament of Grenada, Wednesday March 27th at the Grenada Trade Centre, Morne Rouge. Job creation, business opportunities for investors, opportunity for wealth creation and prosperity and social justice for all, are among the priorities. “This New Economy is essential to restore the hopes and aspirations of our people especially our youths. Without jobs, our cherished values are undermined, our democracy is weakened and future is dim”, Sir Carlyle told the packed audience made up of a very wide cross section of the population. The Governor General said that Grenada’s economic revival requires local and foreign investments, and that efforts are being made to attract clean and credible investors. Sir Carlyle pointed out, that government will soon be introducing a Citizen by Investment Program, which has existed for a long time in several developed and developing countries. The Head of State listed several areas of potential investment, including: Infrastructure such as roads, airports and ports, Agribusinesses, Tourism, the Energy sector (renewable and non-renewable), ICT (Information Communication Technology), and Youth Development. Sir Carlyle indicated that Government is making a concerted effort to reduce unemployment currently standing at 31%, by implementing stimulus programmes for Agriculture, Construction, Manufacturing, Information Communication Technology, and Financial Services. The Head of State said that special attention will be given to the small and micro-business sectors including financing and business support services for entrepreneurs.